Everyone likes games, so why not play them more often—and for a greater purpose? Gamification is a buzzword you may have heard over the past decade as it pertains to interactive learning and marketing. For those who don’t know, it is exactly what it sounds like: the process of applying the basic elements of game play to digital activities and areas of life in which they aren’t usually found, thereby making them more fun. The main purpose of this is to encourage users to interact and enhance learning and engagement—whether that be for specific productive tasks, educational programs, interactive marketing involving a product or service, or other tangible outcomes. Aside from facilitating content in fun ways, gamification also offers the potential to create more meaningful social experiences. The global gamification market has been growing at a rapid rate. Valued at $4.5 billion USD in 2017, projections estimate it will hit $23 billion by 2022. This growth is a reflection of many organizations recognizing its effectiveness and implementing some form of gamification internally or externally for their marketing or education programs. There is an increasing proliferation of gamified apps for mobile devices, the web, and touch-screen applications. For marketing, gamification has been shown to increase product sales as well as consumer engagement with brands and knowledge of new products. It has even been used to increase voter participation. Frequently, the goal of gamification in marketing is to attract prospective customers, the specifics of which can be neatly tailored with the customization of the gamification experience. Company gamified apps can focus on improving employee engagement, hiring processes, and consumer loyalty through the use of a rewards component. Rewards are most frequently used by the retail sector with great success, but there are many applications for just about any organization. For education, game design elements are blended with learning material. This effectively enhances education programs because it engages users with the subject in a fun way, motivating them to continue learning and retain what they have learned instead of passively studying the material. What started as a trend years ago has developed into a proven methodology that is firmly rooted in many learning and marketing strategies of organizations and institutions of all kinds. As the gamification industry continues to evolve, the bulk of the growth will continue to be in the interactive digital realm. Apps for mobile devices, the web, and touch-screen displays will continue to be ideal platforms to reach the masses, and exciting developments in the area of 3D and XR immersive experiences (Virtual Reality, Augmented Reality, and Mixed Reality) has created ideal platforms to develop next-generation interactive gamified experiences. The recent boom in interactive experiences and educational apps featuring XR technologies has proven as much. HTC Vive, Samsung Gear VR, Oculus Rift, Google Daydream View, and Microsoft’s Hololens are a few of the premium platforms for immersive experiences. Gamified experiences have been improving with increased customization; but, perhaps even more important to users, the experiences are more fun and rewarding. 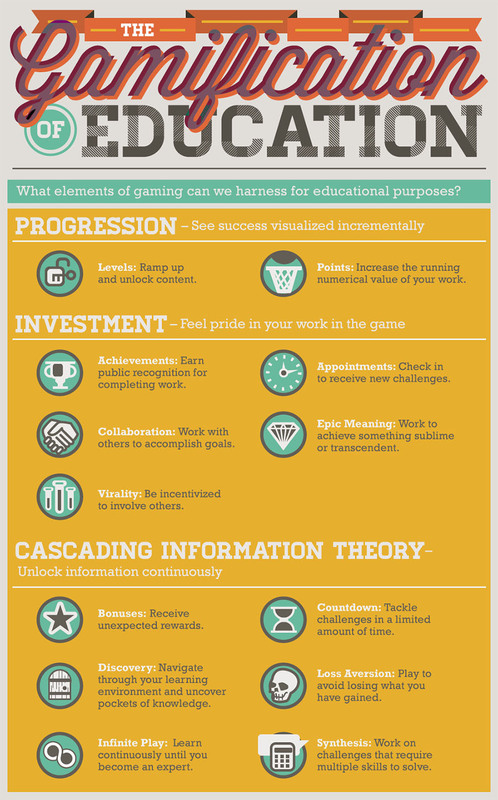 Gamification offers a method to be more productive, learn and retain more, and get rewarded while having more fun. Who doesn’t that appeal to? When it comes to gamification, the sky’s the limit for experiential learning and marketing, so the key is to think big.